The nation is almost three quarters into the fiscal year, but momentum to reverse the sequestration budget cuts is hard to find in the halls of Congress. Lots of facts and vignettes have been tossed at Congress explaining the impacts of the budget sequestration, but without much discernible traction. This report from the Economic Policy Institute describes the impact of the federal sequestration on state budgets, focusing on the over $600 billion in grants and loans from the federal government to state budgets to address everything from the construction and rehabilitation of public infrastructure to payments for police and fire services. According to EPI, the sequester will result in a cut of $5.1 billion from the previous year’s funding level from the continuing resolutions in federal aid to states. The five states taking the biggest percentage hits, as compared to the continuing resolution that was in place at the time of the sequester’s going into effect, (March 1st) are Wyoming, Utah, North Dakota, Montana, and South Dakota. 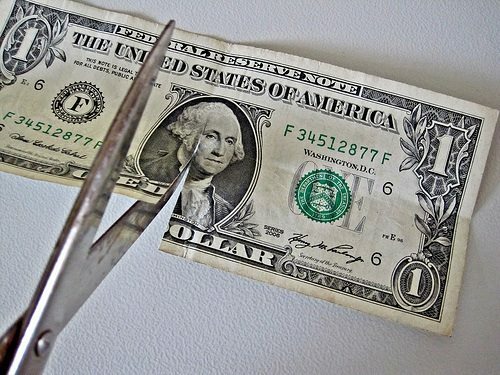 The five states with the biggest percentage losses due to the combined effects of sequestration and the subsequently passed continuing resolution (signed March 26th) are Louisiana, Indiana, Maine, Connecticut, and Massachusetts. Why the shifting mix? Some programs are across-the-board, so that the cuts affect states relatively proportionately, while others are state- or region-specific or keyed to specific demographic or poverty conditions (certain entitlement programs, for example) and therefore affect states differently.